A great amp is arguably the centerpiece of any car audio system so choosing the right one is crucial. You can get the best subs and speakers on the market but if you pair them with a limp amp, it’s all for nothing. If you want to avoid distortion and an underpowered slab incapable of extracting the best from the rest of the components in your system, check out our detailed guide to buying the most effective car amp here. In today’s reviews, we’ll focus exclusively on monoblock amps. These single channel units are ideal for powering your subwoofer. If you’re hunting for a poky amp with a very small footprint, Alpine steams to the rescue with this MRV-M500 monoblock. For anyone with a compact ride but not prepared to sacrifice volume or bass, this nifty amp merits a place on any shortlist. Alpine is a household name in the audio industry and they’re no slouch when it comes to car amps. If you’re looking for a solid monoblock to power your new subs, the MRV-M500 makes a smart choice. One of the key selling points of this amp is the innovative Enhanced Shutdown Performance. If the amp is in danger of overheating, rather than powering down, this thermal protection dials back the output into a kind of safe mode. While not foolproof, it at least limits overheating. 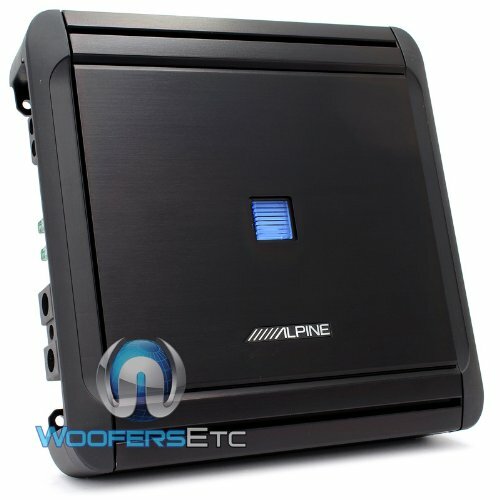 The Alpine will slot neatly into most vehicles even if you have a standard-issue factory stereo and send up to 500 watts of RMS power to your sub to really bring that driver to life. If you’re looking for some healthy low-end oomph with plenty of clarity, the Alpine is a solid option. You’ll buy into a brand you can trust and get a robust amp that should give you plenty of service without costing you a fortune. 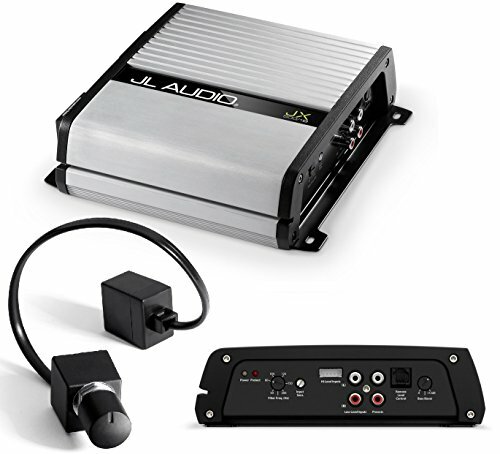 If you’re hunting for a 500-watt monoblock amp that’s an easy, clean install and perfect for powering your subwoofer, the mighty JL Audio comes up trumps once again. Small and extremely compact, you’ll get a surprisingly powerful sound given the scaled-down dimensions. If you enjoy making small tweaks to tailor your music to your exact taste, this bestselling JL Audio amp packs an adjustable low-pass filter that gels brilliantly with the onboard bass boost for maximum flexibility. As you’d expect from JL, the build is exceptional so this class D amp should give you plenty of service. Efficiency is around 80% with very little heat escaping. Power handling is 500 watts at 2 ohms but, if that’s not quite enough for you, JL offer a 1000-watt version of this popular and effective monoblock. The MOFSET power supply is robust and stable. Frequency response ranges from 10 to 150Hz giving you a decent spread of bass to work with. For an affordable entry point into the world of JL Audio, this monoblock delivers in fine style. For a more substantial 1500-watt amp at a cut-throat price point, Boss Audio’s AR1500M is a smart choice. You can opt to buy this monoblock with or without an installation kit. Combining power with flexibility and boasting an unbeatable 6-year warranty, extract the most from your subs with this mighty monoblock. If you’ve got a single sub in an enclosed box, this poky monoblock amp from Boss might not deliver the figures promised by the manufacturer but it’s still a highly capable unit. RMS power handling will be more in the region of 500 watts which is a far cry from the promised 1125 watts so keep your expectations pegged back. As a class A/B amp, sound quality and power output are at a premium with very little by the way of distortion. The drawback is that these amps tend to generate more heat. The variable low-pass filter lets you fine-tune the frequencies passing to your subs while the switchable bass boost allows you to really let rip when the mood takes you. A wired remote makes these adjustments a cinch. As with any amp, take the quoted power figures with a pinch of salt, read plenty of honest reviews and decide if it makes sense for you. 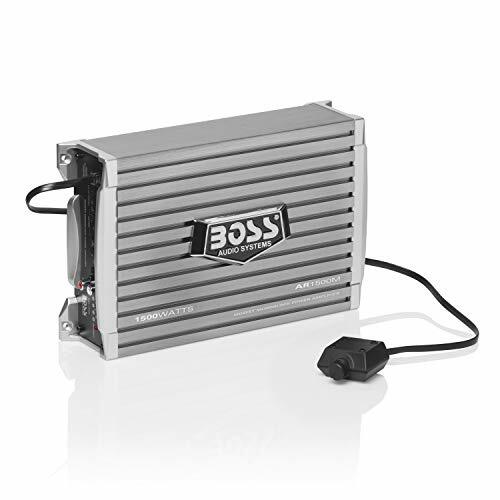 If you want more than serviceable power in a compact box, check out the Boss Armor today. 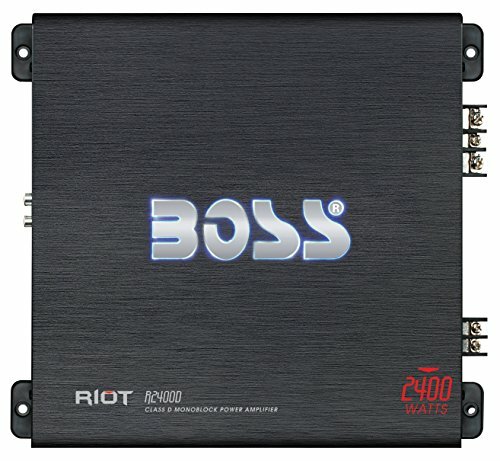 Ramping up the power again, another Boss Audio monoblock comes in the form of the Riot series 2400-watt beauty. While this is a little more expensive, it’s still eminently affordable. You’ll be able to make adjustments with ease and enjoy thundering bass from your new sub if you invest in the Riot. The Boss Audio Riot is very cheap for a 2400-watt monoblock and, a few small gripes aside, represents excellent overall value. A class D amp, the Boss will draw less power than an A/B class while also kicking out far less heat. Overheating is further addressed with an impressive thermal protection circuit. All this comes together to serve up crisp, clear bass in a fairly compact unit. The 2400-watt max power rating is based on 1 ohm x 1 channel. As with all these figures, it pays to dial back your expectations but you’ll certainly get more than enough volume and thud for your buck. With a great deal of customization at your fingertips, a subsonic filter and subwoofer level control alongside the ability to tweak gains, bass and frequencies, you really do get outstanding value for money with the Boss Riot. Skar Audio designed the enduringly popular RP series with the goal of producing the smallest and most efficient class D single channel amp and it’s a roaring success. Combining power, reliability and affordability in one diminutive package, the RP-350 might not be the loudest monoblock but it’s among the very best in its class. Although RMS power is a modest 350 watts and max power at 1 ohm just 388 watts, this nifty little amp punches above its weight. You’ll be able to power a single sub or a pair at 1 ohm and still generate more than adequate bass for most reasonable requirements. The MOFSET power supply is nimble and the protection circuit alongside top-notch componentry means the Skar is built to last, rare for a cheaper monoblock amp. The filters are somewhat lacking and you won’t get the crispness or clarity you’d enjoy with a Rockford or JL but, at this price point, the overall effect is deep, loud and genuinely impressive. Any smaller amp involves a degree of compromise and, if you accept that the Skar can’t do everything perfectly and still come in at this price point, you might be pleasantly surprised at the way it drives your bass and the way it just keeps on driving. Pioneer’s sleek monoblock is a cool-running amp that doesn’t stint on power without bankrupting you for the privilege. The wired bass boost and generous RMS handling gives you all the low-end you need and the ability to make adjustments in line with your musical preferences. 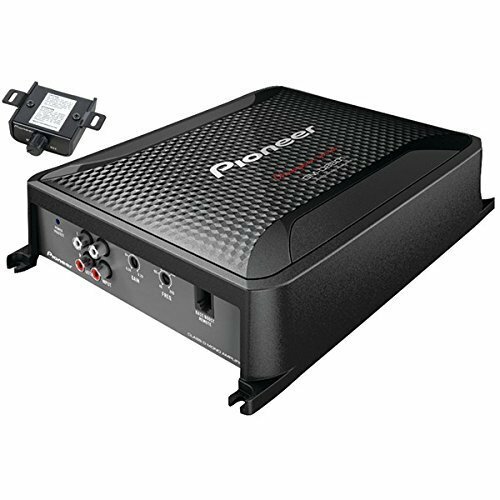 One of the leading names in mainstream car audio, Pioneer has rolled out a dinky little class D monoblock that packs a heavyweight punch. 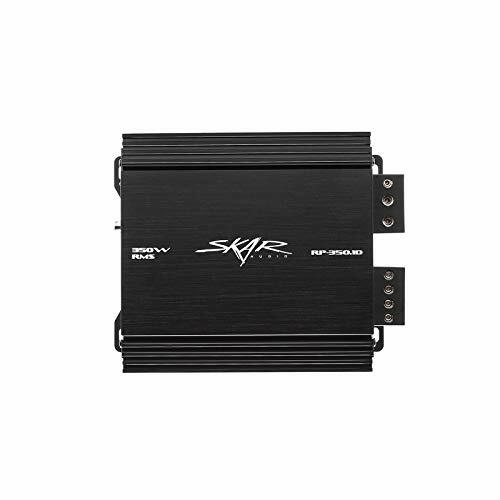 This single channel amp can send 800 watts of RMS power to your subs translating to a vibrant and thudding bass from a unit small enough to fit in a compact vehicle without eating up too much room. The efficiency of its class D technology helps keep the heat down even when the volume is up. You’ll be able to control things using the wired remote but think carefully about where you position this. The knob is rather awkward to use so make sure it’s within close reach. The only meaningful snag is that wiring and hardware are not included so don’t expect to fire it up straight out the box. The slick silver Sound Storm is a budget monoblock amp that performs at an unexpected level given the price tag. Power handling is more than fit for purpose and it will deliver a decent thump of bass to rock your subs. High and low level inputs allow you to incorporate this amp into almost any sound system. Sound Storm produce budget car audio that allows anyone to enter the field without needing to spend a fortune. 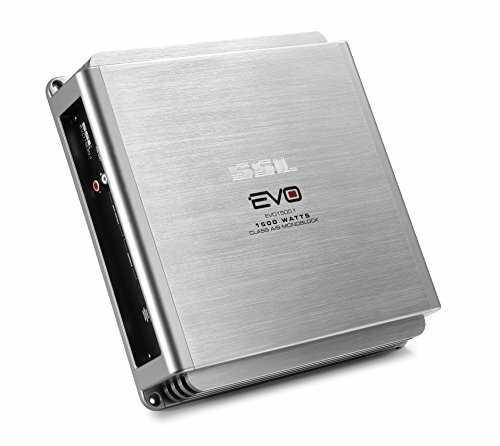 This EVO 1500 monoblock is no exception and provides sterling value without stiffing you in terms of performance. A class A/B amp, you’ll experience a little more heat generated and increased power draw compared to a class D. That said, there’s thermal protection to mitigate this while you can easily play with the various settings to make sure your amp isn’t overworked. As with most amps, the power handling figures (563 watts RMS at 4 ohm and 1125 watts RMS at 2 ohms) could best be described as ambitious but there’s certainly more than enough power on tap for most needs with max power on 1 channel at 1500 watts. If you’re looking for an entry-level amp that will give your subs the legs they need to kick out a decent level of bass, this Sound Storm deserves a place on your shortlist. 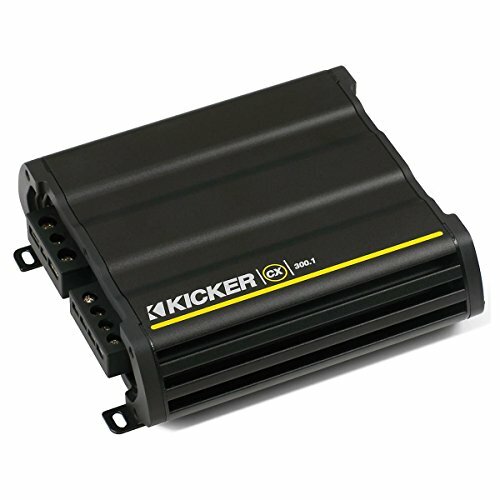 Kicker is a hard hitter in the car audio world and, while by no means the cheapest, their pricing is not prohibitive either. This small but perfectly formed monoblock sits in a 7” x 8” chassis while still doling out impressive levels of sound. If you’re particularly pressed for space inside your vehicle, the vertical mount facility is a lifesaver. Kicker always delivers and this amp doesn’t break the mold. With a believable 300 watts of RMS power, this class D monoblock might come in a small chassis but the sound quality is not only loud but also crisp and detailed. A versatile amp, you’ll be able to stash this in tight spots or even mount it vertically if you drive a truck or sports car and you’re struggling for space. It works with factory set-ups and allows you a great deal of freedom in a miniature package. Dual speaker terminals allow you to expand your set-up with relative ease and you should be able to drive more than enough power to your sub to get that bass rattling. Whether you want to slip it under the seat or in the trunk, say goodbye to a slab-like amp dominating your vehicle and say hello to a lightweight alternative that doesn’t sacrifice raw power in the pursuit of portability. We hope you’ve found these monoblock amp reviews have simplified your research process and helped you assemble a shortlist of suitable single channel amps. Once you have your budget and requirements ironed out, getting the best monoblock amp is not remotely problematic so what are you waiting for? Come back soon for more car-related advice to help you ride in style.